He loved science above all else. Even if it was bad science, he still loved it. But in a science fight, he was on the good side. How do you do, folks? I sure am glad to see y'alls. 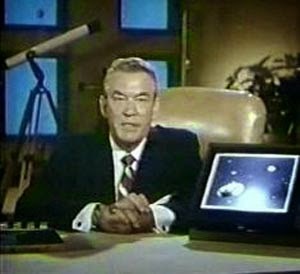 He was the perfect host for SCIENCE FICTION THEATRE. The post I made on the Perry Mason thread about Truman Bradley belongs here as well. Imagine my surprise today when I noticed Truman Bradley's name in the cast of "The Case of the Madcap Modiste". I checked my download of that episode and found Truman in the opening scene, sitting in a chair while addressing the audience, just like he does in Science Fiction Theatre! 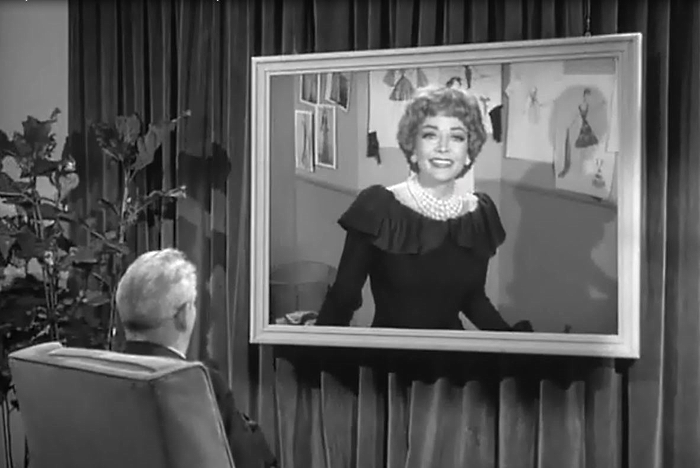 And then he turns and begins to interview actress Marie Windsor — who appears on a large flat-screen TV mounted on the wall! IMDB says this was the final appearance of Truman Bradley. 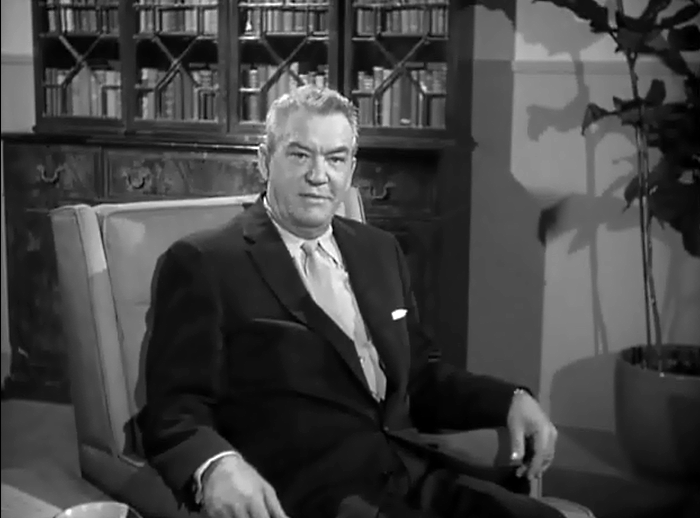 The cast also includes Les Tremanye as the prosecuting attorney (Les was in The Monolith Monsters, War of the Worlds, and the opening narrator in Forbidden Planet), and Morris Ankrum as the judge (the actor who appeared in more 50s sci-fi than any other actor). Just another example of how this great series seems to dance around science fiction in delightful and unexpected ways.